I suspect that many of you reading this post will, in your teenage years, have spent Sunday afternoons with your finger poised over the pause button as you taped the chart hits of the day. A pastime denied todays download generation. This month sixty years ago the New Musical Express published the first weekly 'Record Hit Parade' chart based on record sales – 78 r.p.m. discs at the time of course – with Al Martino’s Here in My Heart being the first chart-topper. Chart shows based on sheet music sales had been broadcast on Radio Luxembourg since 1948. 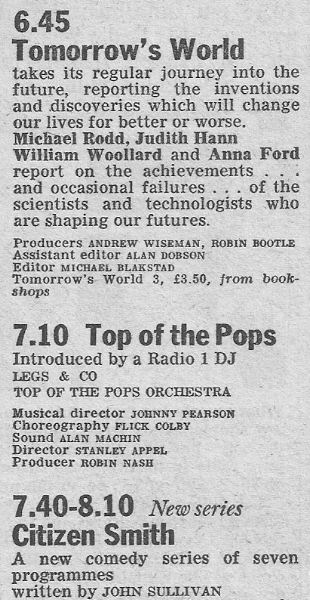 On the BBC Pick of the Pops was still three years off, and it didn’t feature the hit parade until 1958. Celebrating all things chart-related is this BBC Radio 2 documentary, Carry On Up the Charts, presented by the king of the countdown Alan Freeman. It was broadcast on 19 August 2000 and also features Paul Gambaccini, Dr Fox, Pete Murray, Johnny Beerling, Andy Parfitt and David Roberts, the editor of the now defunct Guinness British Hit Singles book. (I've edited out most of the music). This Saturday (10th) and next (17th) Tony Blackburn will be counting down the best-selling songs of each year from 1952 to 2012 on Pick of the Pops. BBC Four is showing the documentary Pop Charts Britannia: 60 Years of the Top 10 on Friday 16 November. The following Friday you can see The Joy of the Single. 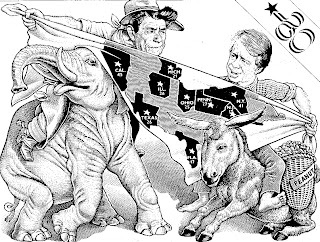 As Americans head to the polls this week for the Presidential election I take a look back at some of the radio coverage of the 1980 election when Reagan first came to power. That election took place at a time of low economic growth and the foreign policy entanglements of the US hostages held in Iran. Shortly before the election diplomatic moves were underway to secure the release of the hostages. 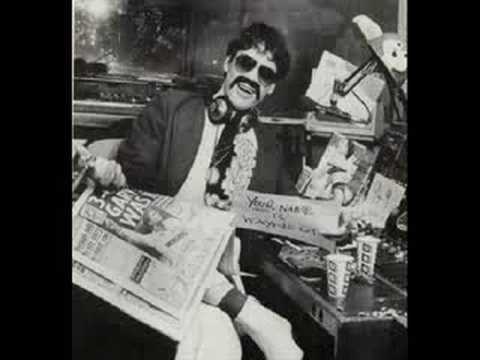 Here’s the news headlines from Radio Luxembourg on 3 November 1980 read by Rob Jones. 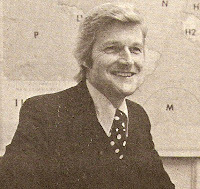 The BBC’s Washington Correspondent at the time was Clive Small, here reporting on the hostage situation and its impact on the election outcome on 4 November 1980. Election Day itself was 4 November and the BBC’s coverage started just after midnight on the 5th with Brian Redhead introducing Countdown to the White House. Over on Radio 2 broadcasting through the night from 1 a.m. to 7.30 a.m. was the American Election Special co-hosted by Sarah Kennedy, taking care of the music, and the ever-versatile John Dunn, looking after the politics. In this clip John is joined by Clark Todd. Dipping into the international coverage this is William McCrory on Voice of America. 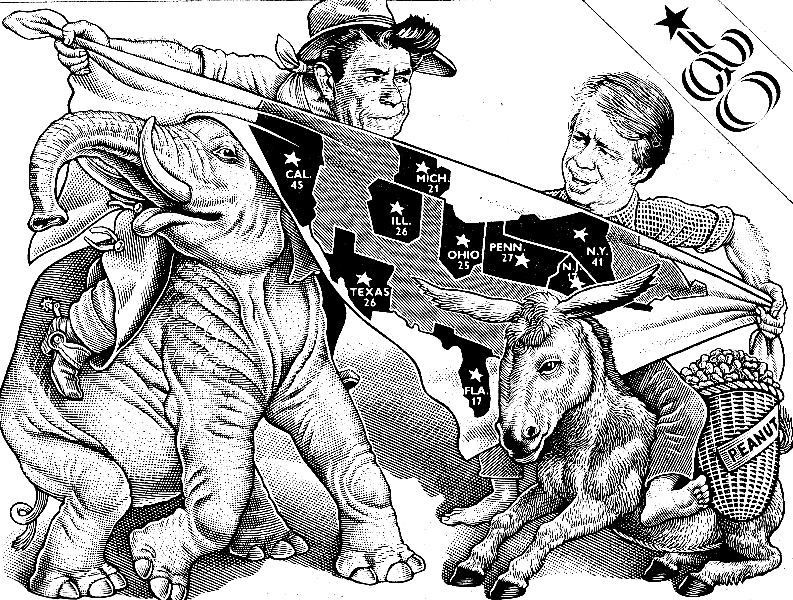 In the early hours of the morning (UK time) Carter conceded defeat to Reagan. This is the IRN news bulletin at 3 a.m. with Carol Allen. At 6 a.m. Radio 4 carried an extended edition of Today with John Timpson in New York and Libby Purves in London. In this recording you’ll also hear from BBC correspondents Paul Reynolds, Clive Small and Peter Ruff. Reflecting on the result later that day is Clive Small. Meanwhile that evening Radio Moscow’s World Service seemed to emphasise the low turnout of 53% as against the Soviet Union’s 100%. Journalist, broadcaster, socio-historian or consummate story-teller, take your pick. For 58 years Letter from America provided listeners with an insight into American politics, culture and history mixed with a little homespun philosophy, not to mention reveries on New England in the fall and his beloved golf. 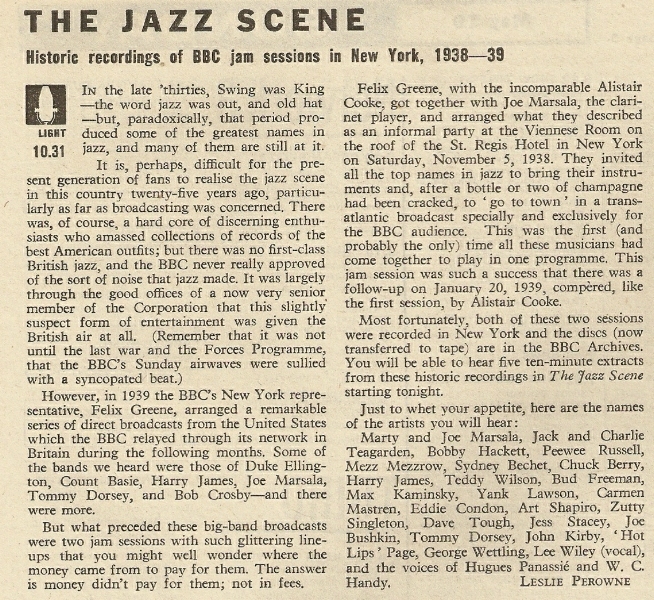 Letter from America ran on the BBC Home Service and Radio 4 between 1946 until Alistair Cooke’s death in 2004. Initially the BBC seemed reluctant to commission the series but eventually it came to be seen as a broadcasting institution; and anyway Alistair was never going to relinquish it, even recording the occasional letter from his hospital bed with the BBC in London not realising anything was amiss. 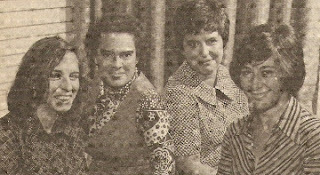 The series had its genesis in the broadcasts that Cooke made both before and during the Second World War, and the love affair that he developed with all things American during his childhood. Composing those letters, pounded out on his faithful Royal typewriter, from his New York apartment was a world away from his Methodist upbringing in Salford and Blackpool. At school the young Alfred Cooke (in 1930 he changed his name by deed poll to Alistair) flourished at matters both academic and sporting and, on a scholarship, he progressed to Jesus College in Cambridge. 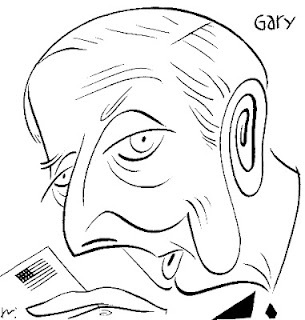 His extra-curricular activities were devoted to the theatre – he founded the Mummers drama group – music, especially American jazz – “America called the tune of our leisure” he said – and literary - he drew cartoons and wrote film and theatre criticisms for Granta. But his two main ambitions were to write for The Manchester Guardian and work for the BBC. He more than fulfilled both of these, his association with the newspaper lasting 26 years and that with the Corporation over a 70 year period. 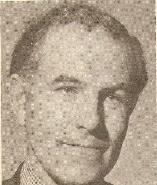 Cooke’s first connection with the United States came about quite by chance in 1932 through the auspices of the Commonwealth Fund which invited graduate applicants for two years study; he chose to study theatre production at Yale. One of the obligations of the fund was to travel for three months within the States, thus giving Cooke what was to be the first of many tours across the country that would later do so much to inform his weekly letters. That first tour also allowed Alistair to follow one of his other passions, the cinema, and provided an excuse to visit Hollywood. 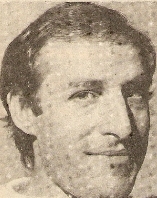 He arranged introductions to film-makers and actors on the basis of sending interviews back to the Observer newspaper. Remarkably he struck up a friendship with Charlie Chaplin; he even invited him to be his best man at his wedding. It was the first of many starry friendships and acquaintances over his lifetime that Cooke would drop into his letters – Humphrey Bogart, Lauren Bacall, Bing Crosby, Groucho Marx and so on. Although Cooke aspired to obtain American citizenship – it was a long process only completed in the early days of the war and leading to accusations that he was turning his back on his home nation in its darkest hour – he still made regular visits back to Britain. In early 1934 he chanced upon a headline in an American paper that read “BBC Fires Prime Minister’s Son”. 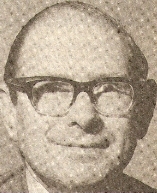 It turned out that Oliver Baldwin, son of Stanley, had parted company as its film critic. 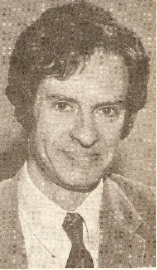 Cooke fired off a cable to the BBC and, although initially told the position was not vacant, found himself back in London shortly afterwards. Cooke’s first Cinema Talk broadcast went out live on Monday 8 October 1934. 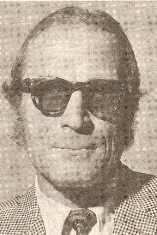 According to Nick Clarke’s biography of Cooke his first script showed a tone that was “light and conversational”, “mildly self-deprecating”, and “humorous, but with a clear and serious purpose. Cooke, the writer for radio, seems to have arrived almost fully formed”. It will try each week to bring to listeners, in an entertaining form, glimpses of American life, of American ways of thinking, and of American ideas, snatches of American music and idiom, recollections of famous incidents and crises in American history, topics of current American news clarified by an American correspondent in London, short readings from American poets and humorists, thumbnail biographies of Americans in the news, and, wherever possible, the actual voices of Americans famous in their professions. 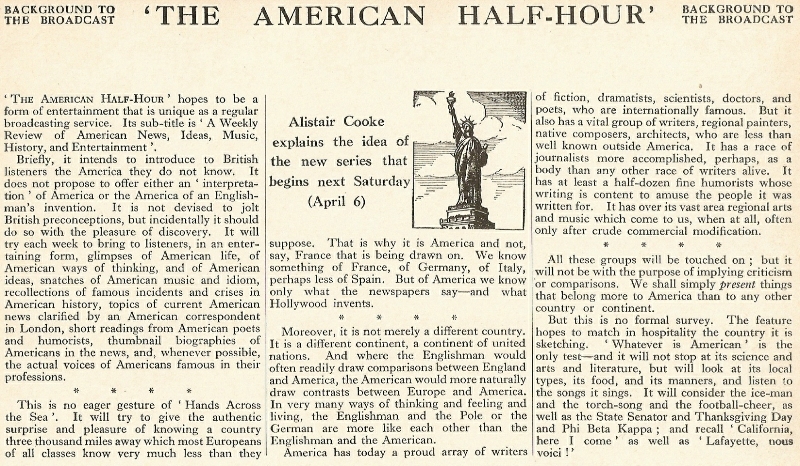 Later the same year Cooke returned to the air with a talk on “the differences in vocabulary and idiom” between the States and Britain in English on Both Sides of the Atlantic; a theme he would often revisit in Letter from America. 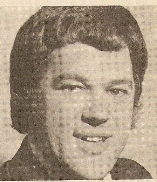 Spurred on by an extension to his Cinema Talk contract Alistair put together a programme of American ‘hobo’ songs called New York City to the Golden Gate, he would return to American folk music a couple of years later and again in his 1970s series for BBC radio. At around the same time Fred Bate from America’s NBC commissioned a talk for the centenary of Mark Twain’s birth and a series of Sunday evening talks to New York called London Letter followed. Tonight we are going to show for the first time in this country the whole version, seven episodes of Edward and Mrs. Simpson, the story of one of the most dramatic crises in the history of the British monarchy. This was the first voluntary abdication of an English king, which--it staggers me to realize now since I was there and broadcast about it to this country seven, eight, nine, a dozen times a day--occurred forty-five years ago in 1936. Because it was nothing if not romantic, it was very simple then, and now, to oversimplify it as a case of true love versus the establishment. NBC was full a praise for Cooke’s efforts whilst the atmosphere at the BBC had turned a little frosty as, the Director of Talks claimed, he had “become increasingly difficult about sending in scripts and conforming to normal procedure”. And anyway the NBC’s cheques were considerably bigger. Prompted by this Cooke returned to America for good in 1937. Working freelance from his new base in New York Cooke again approached the BBC but they were already in negotiations with the journalist Raymond Gram Swing to become their main US commentator for a series of talks under the title American Commentary. NBC came to the rescue with a weekly talk of “reviews, criticisms and personal musings, but eschewing politics” and interval talks during relays from the Metropolitan Opera. There was still the odd broadcast for the BBC but his next series came to fruition in July 1938 with I Hear America Singing which used popular songs to illustrate the social history of the United States. 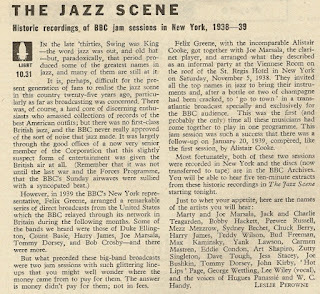 This series was broadcast live from London but back in New York he was offered a new BBC programme Mainly About Manhattan – nineteen talks starting on 13 October. It was just ‘Manhattan’ to ensure he didn’t overstep the wider brief of Gram Swing. A regular talk, a sort of diary of a country at peace, in style and form like Mainly About Manhattan but spanning a wider field: taking in two or three topics each time, touching on life away from the East Coast; on democratic festivals or celebrations it might be good for Britons to know about; on a new invention; a great man dead; on a new writer; on American experiments in democracy – the country teems with projects that are gallantly run. To be called, say, - A Letter from America. 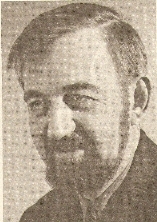 The response from the BBC was as follows, and one which Alistair loved to quote in later years, “Whilst I think there is need for the USA to understand the British; and indeed the European situation, I do not feel that at this stage there is an equivalent need for us to understand the American point of view”. Cooke’s work during the war years was sporadic. 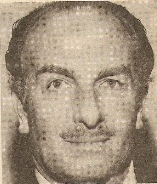 He was given the opportunity to fill in on American Commentary for the 7 September 1940 talk and subsequently did a few more. For the Empire Service there was Pacific News Reel. But overall the Corporation thought he showed a “lack of considered political judgement”. Following Pearl Harbour there were a number of broadcasts on America’s entry into the war and later on more regular American Commentary talks. Away from politics Alistair was the host of a transatlantic discussion programme Answering You. There was a similar co-production from April 1944 with Transatlantic Quiz in which two opposing teams tested each other’s knowledge of the other’s country. 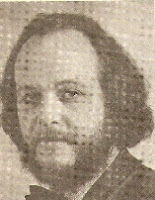 Cooke was, of course, at the New York end and Lionel Hale looked after the London team. Panel members included Professor Denis Brogan, author Christopher Morley, critic John Mason Brown and, at one time or another David Niven, Eric Ambler, Sir Thomas Beecham and Peter Ustinov. The quiz series was very successful and although it finished in 1947 there was a brief TV version and a further radio series in 1951. 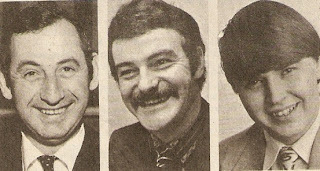 It returned to the BBC in 1979 with question masters Louis Allen in the USA and Anthony Quinton (later Gordon Clough) in the UK. It also spawned the long-running Round Britain Quiz (1947 to date). The cessation of hostilities also brought American Commentary to a close. It was former head of the BBC’s American Operations and now Controller of Programmes Lindsay Wellington that finally agreed to what was initially called American Letter. 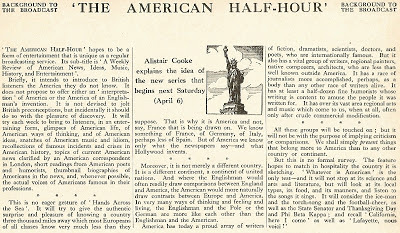 At the time Cooke wrote that “it will be a weekly personal letter to a Briton by a fireside about American life and people and places in the American news”. The first talk was broadcast on 24 March 1946, initially, as was the BBC way, on a 13 week contract. In the event it lasted some 58 years, or 2,869 programmes. From the start all the elements that became Cooke’s trademark, his “applied artlessness”, are present: the anecdotal, tangential approach to events in the news; the historical perspectives; the measured, almost mesmeric pace. The voice, as he would later comment, had a pronunciation that was British but “the tune, very often, is American”. It was a talk on 24 February 1950 about the reaction to the British General Election that saw, for reasons that nobody can remember, the change of billing from American Letter to Letter from America. Contrary to what you might read elsewhere about the programme it did not strictly continue with the same title throughout or, indeed, that Alistair read every letter. 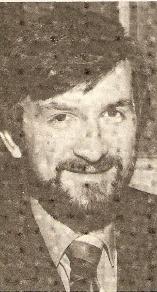 It is true that he guarded the programme very closely, and indeed his BBC paymasters and producers eventually gave him free reign and tinkered with it at their peril – as Radio 4 controller Ian McIntyre discovered in October 1977. 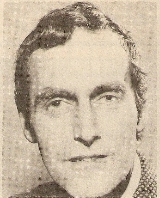 Meanwhile the BBC Overseas Service was also carrying the programme at the time and Head of Talks Gerard Mansell wanted to make his own arrangements. As a consequence the overseas broadcasts of Letter from America were written and read by the likes of Gerald Priestland, Leonard Parkin and Anthony Wigan. 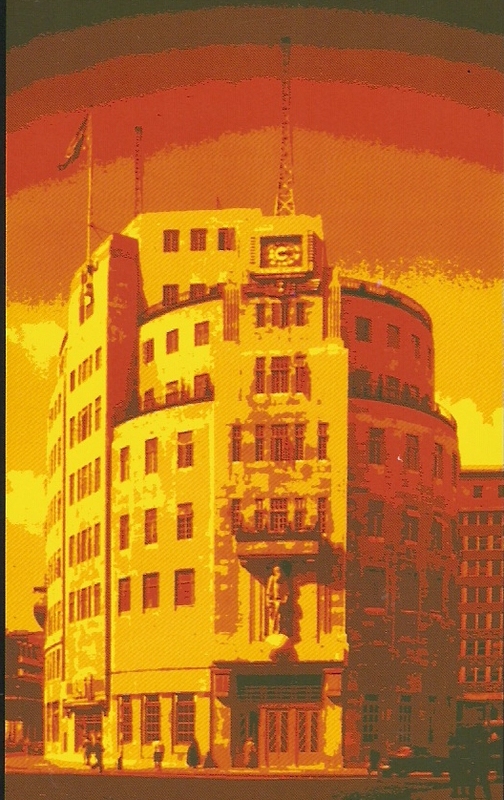 The programme reached its 1000th edition in March 1968 and the BBC arranged a celebratory dinner back in London. 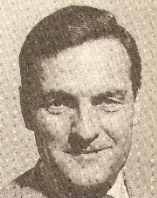 The 1960s saw considerable change in the States and Cooke was able to provide an alternative perspective to the reports from the BBC’s foreign correspondents. There was still some disdain that he could gloss over the turmoil of civil rights and Vietnam and veteran BBC newsman Charles Wheeler accused him of often “sitting on the fence”. But what he was able to do, in commenting on these major events – take his letters on Watergate for instance – is cut through the ‘noise’ and offer a breadth and depth of knowledge, and a clarity, that no other reporter could offer. Although the letters often took their cue from the week’s news there were times when events would overtake the content, Cooke having to record each programme about 48 hours in advance of the first broadcast. Such an event occurred in 1968 when President Johnson declared he would not be running for re-election after the prepared talk had been despatched on the subject of the presidential nominations. The broadcast went ahead anyway but not before the Director of Radio asked Alistair if he might see his way clear to preparing a standby tape for such occasions. “There’s no evidence that the standby tape was ever made”, concluded Nick Clarke. Whilst Alistair often undertook visits around the States he would only sometimes ‘follow the story’ for his Guardian pieces. He covered America from New York so that his America “was rich in politics, but politics seen as ordinary Americans saw it, including from television”. It was something of a fluke, “a casual chance in a thousand”, that meant he was an eyewitness to one of the pivotal moments in 60s America, the fatal shooting of Robert Kennedy in June 1968. Some of his British audience mistakenly mistook Cooke for American such was his close association with the country. But to his American television audience he was the quintessential Englishman introducing the arts magazine Omnibus between 1952 and 1961 and doing the ‘tops and tails’ presenting the best of British drama on the PBS show Masterpiece Theatre (1971-1992). His 13-part TV series America: A Personal History of the United States was a hit on both sides of the Atlantic; the book sold over 2 million copies and won him an honorary knighthood. Over the 13 years that Alan Owen, my producer, and I have been working together on American popular music, the conviction dawned slowly but surely on both of us that of all the very gifted man who made the 1920s and 30s a golden age of American song, Gershwin more and more looks like the truest original. 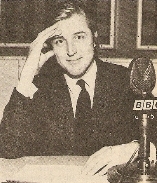 In the late 1970s three series ran on Radio 3, the first of which titled Alistair Cooke’s 1920s was followed by visits to the 1930s and 1940s. 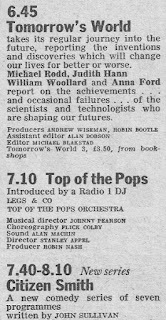 A final round-up programme aired on 9 December 1979 – The Golden Age 1920-1950 – and although it rattles through the tunes at a fair pace it provides a rare example of his work away from the weekly letters. With the passing years Cooke was becoming something of a broadcasting legend, if only by dint of his longevity. 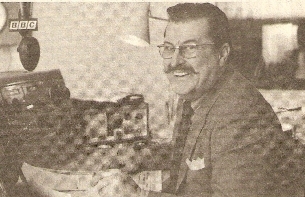 Although he was often drawing inspiration from what he read in the newspapers or saw on the television the letters were infused his own recollections and anecdotes, perfecting “the journalism of personal witness.” According to a Sunday Times profile “a past Radio 4 controller had said, only half in jest, that anyone who flew across the Atlantic to sack Cooke would be shot down by his legions of fans on both shores. The decision was taken ‘at the highest level’ to allow him to ‘to die at the microphone’ if he so wished.” That was almost the case. By 2004 with failing health Cooke was now finding it more difficult to write and record his letters. Whereas before he might have sat down at the typewriter and completed it in a couple of hours it now took him three days. “I’ve had heart disease for a long time and I’m not up to it” he told The Times in early March of that year. “I’ve been feeling low now for about two months. When I’ve done my talk I used to collapse. I began to wonder if I could go on and I can’t”. 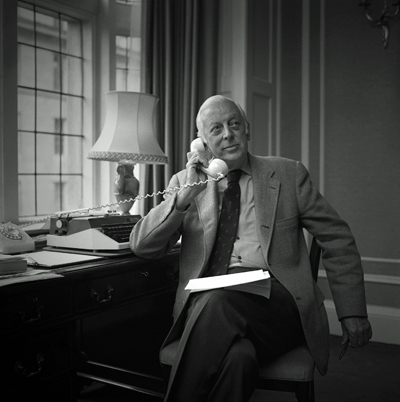 Just a month later Alistair Cooke had died, aged a venerable 95. This week the BBC has launched (along the lines of the Desert Island Discs archive) an online collection of over 900 letters, about a third of the total output. But for this post I’ll give you a chance to hear a talk that’s not available from 1 February 1985. Next week there’s a re-assessment of Letter from America in a 4-part Radio 4 series from Alvin Hall called In Alistair Cooke’s Footsteps. The photo of Alistair is courtesy of Roger Clark.